I really want to know if you can have a mod to have a female protagonist as a main character for the game? Will we have the possibility to change the physical appearance of our character or may be some cosmetic changes like in Witcher 3? I was thinking the same thing, there is animations for Caja, and faction armour / equipment / spells so i am wondering if it would be possible. There are male and female models for several armor/clothing sets, so swapping these is possible, but would swap ALL male and female models that use them, same with animations. 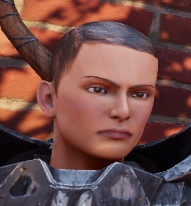 Adding the hair models would also cause clipping issues with helmets. To my knowledge, the only player character specific model in Jax's head, so that could be swapped out. The voice could be replaced with muted audio files. So, it is doable using model swapping techniques, but it could cause a lot of unwanted side-effects. Edited by Kyim, 07 December 2017 - 07:33 PM. I'm not sure if this is possible, but maybe you could add hairs replacing some helmet model (Or creating a new one) and making it wearable? It's only an idea, that would solve the clipping problems because the hair would be like a wig and would't interfere with the rest of the helmets. I would try to play such woman - I don't use helmets if it is possible to hide it, so I wouldn't mind if helmets would be made invisible, so no clipping problems would have to be solved.